William McKinney of the Bolles School Sharks is one of two sprinters who has verbally committed to Auburn. Auburn University is sprinter university, and their men’s teams have added two more verbal commitments for the fall of 2014 in that category: necessary, as they’re graduating the best male sprinter in the NCAA, Marcelo Chierighini, after this season. One is World Junior Championships finalist Renzo Tjon-a-Joe, who hails from Suriname, and one is William McKinney, who comes from the Bolles School in Jacksonville, Florida. 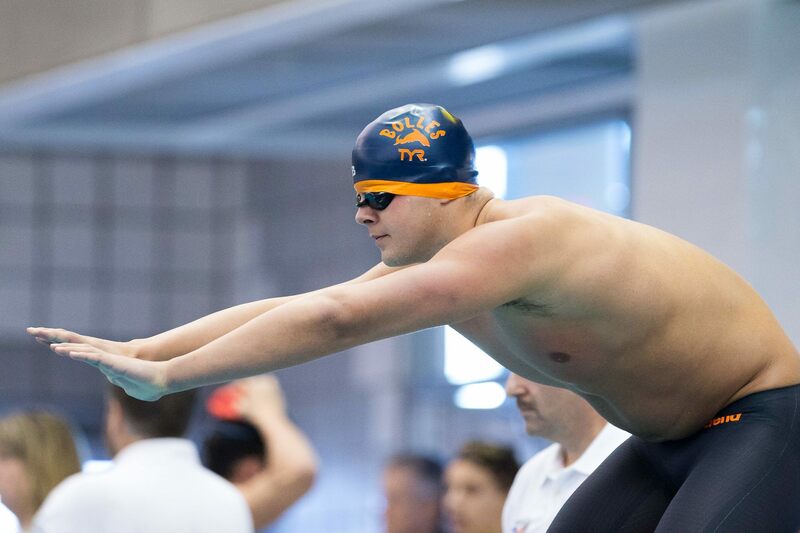 Tjon-a-Joe finished 8th at the 2013 World Junior Championships in the 50 long course meters freestyle, with a best time of 22.75 in the semi-finals. He also finished 18th in the 100 LCM free in 51.16. Those times convert to about 19.7 and 44.6 in the yards course. McKinney swims in Sergio Lopez’s group as a member of both Bolles’ school team and club team. His yards bests are 20.85 and 46.32 in the 50 and 100 yard freestyles, and has solid versatility up to a 1:42 200 free; 4:38 500 free; and 16:24 mile. He also has a best of 49.8 in the 100 yard fly, done at this year’s Florida 1A High School State Championship meet. What’s more, McKinney will always have his name in a special place in the annals of swimming history. He was the swimmer who anchored Bolles’ Winter Junior National Championship winning 200 yard free relay in Greensboro in December in 20.03; that’s the 200 yard free relay that 17-year old Caeleb Dressel led off in an 18.94: becoming the first junior swimmer in history to clear 19 seconds in that race. Aside from Chierighini, Auburn graduates TJ Leon and James Disney-May after this season too, so this boost to their sprint group will be very much needed (they won the NCAA title in the 200 free relay last year with three juniors and a senior). They join a recruiting class that already includes swimmers like Josh Booth, another Bolles swimmer; Jacob Molacek; Zack Warner; and Logan Samuelson, among others. Auburn and Bolles have a strong recruiting connection too: in addition to the two Bolles recruits, there are three current Bolles swimmers on the Auburn roster (and many more former swimmers as well). Great pick up for Auburn and Coach Brett’s crew! 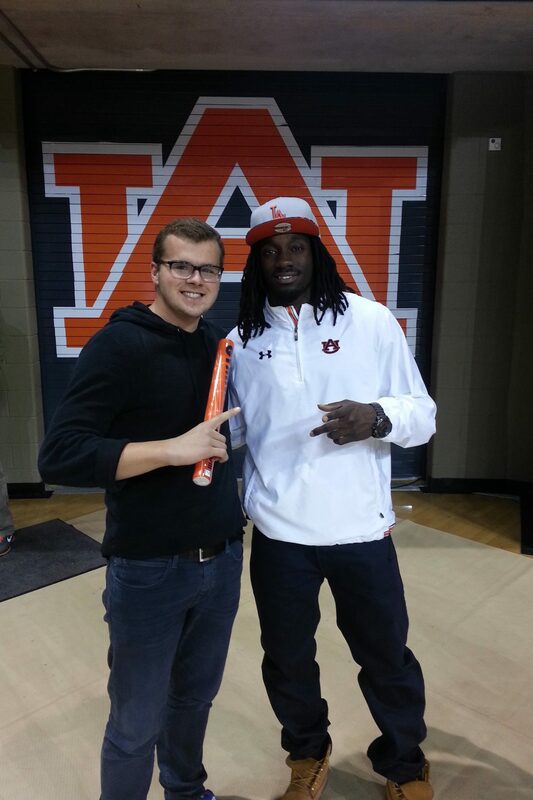 Will is a War Eagle through and through and will make a big impact in the future. Congrats to Will, his family and Auburn! Congratulations to William and his family. Auburn gains a very bright and witty young man. William is a versitile swimmer from the 50-500 Free and his Fly is coming around very well. Can’t wait to see what college level training does for him. We will miss you, you will always have a bedroom in Jax.